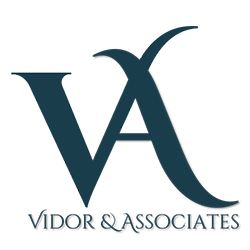 Vidor & Associates is a business to consumer, full service insurance agency, located in Kirkland, Washington offering the highest quality group, individual, Medicare Products and Ancillary Products to individuals, and small and large group employers. Among the specialities are consulting services, distribution channels, service and administration to support employers, healthcare providers, general insurance agencies and insurance companies. Change is constant in healthcare and no time in history has made that more evident than now. Our commitment to our clients is to take the emerging transformation and complexities of insurance in today’s market and simply, simplify! We simplify insurance through our extensive knowledge of all lines of health, life, Medicare and ancillary insurance, offering a large portfolio of plans from multiple top rated insurance companies, rate negotiation, functional and hands-on expertise in navigating a spectrum of solutions of Post-Health Care Reform, including public and private exchange platforms, COBRA awareness, claim resolution/billing solutions and providing effective promotion and distribution channels for health industries and product service over the last 15 years. Our agency is committed to a personalized approach and maintaining the flexibility of meeting with you to identify the risk and find a solution. There are long discussions as to how one goes about determining any individuals risk using deterministic and non-deterministic variables, and, it can be a daunting task, we do this by sitting-down with you face to face, whether here in our office, or your home or office, or over the phone and identify what you the client has, to determine what you the client needs. Our agency works with respected; licensed producers, financial advisors and thought leaders in healthcare, having a thorough understanding of the industry as a whole. Given our sales distribution, operational and financial and management experience, we are able to guide our clients with confidence, challenge their assumptions and help achieve the best solutions and customization to support their outcomes. Our clients consider us to be accessible, flexible, direct and effective. 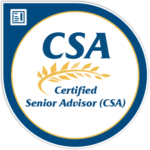 Because of our strong integrity within the community, time and time again they turn to us as a hands-on, objective advisor, supporting them through the monitoring of trends, legislative changes, compliance and understanding of the ever changing Federal Medicare Programs, and our effective distribution and marketing channels. Taking the emerging transformation of insurance in today’s market and simply, simplify. We are people-focused and motivated by our clients and our community. Our philosophy is conservative, our solution is to listen, guide, educate and execute with the personal integrity you expect from us.